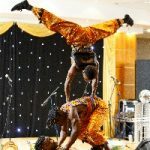 African drummers and dancers for hire. 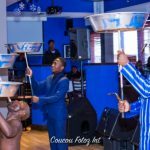 The Oduduwa Talking Drummers are a well established multi-cultural troupe formed by Ayan Ayandosu, known as Ayan De 1st, who present authentic Yoruba, Ibo and Hausa music from Nigeria and music, culture and heritage from other African countries such as Kenya, South Africa, Zimbabwe, Congo etc. 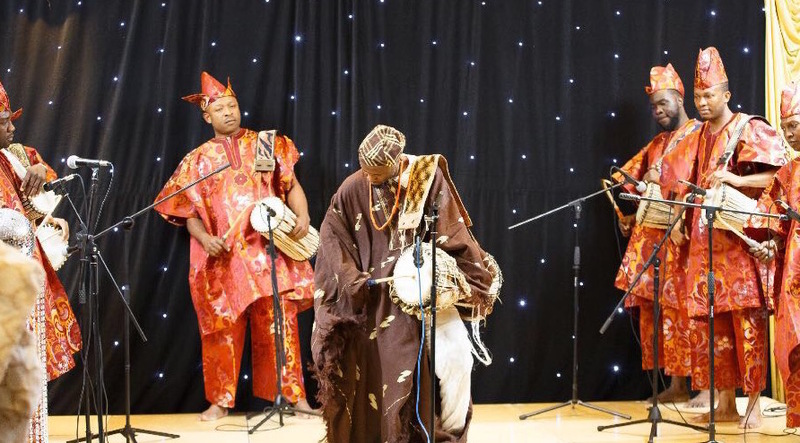 The Oduduwa Talking Drummers are a well established multi-cultural troupe formed by Ayan Ayandosu, known as Ayan De First, who present authentic Yoruba, Ibo and Hausa music from Nigeria and music, culture and heritage from other African countries such as Kenya, South Africa, Zimbabwe, Congo etc. 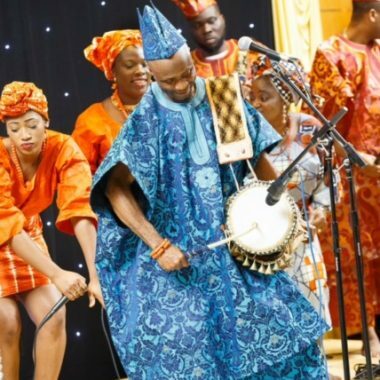 The Talking Drum is a unique traditional musical instrument that mimics the human voice and synthesises language. 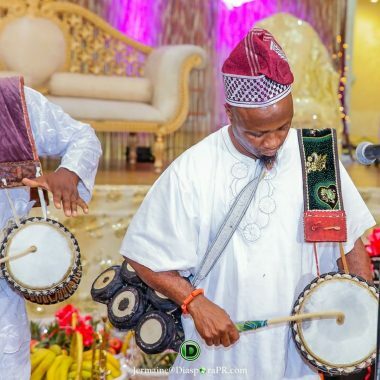 The Yoruba people are best known for their music and dance; they are one of the major tribes of Nigeria and the Talking Drum is one of their great traditional art forms, which also include door and house-post carving, terracotta pottery, cast bronze and forged iron sculpture. 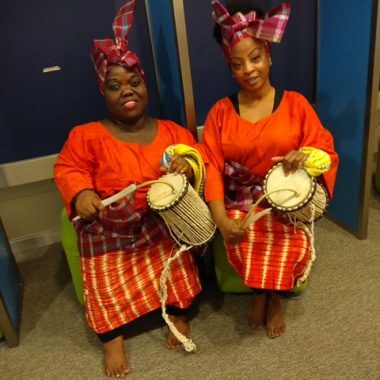 The Oduduwa Talking Drummers offer work within the educational sectors with links to globalisation and the National Curriculum, promoting community cohesion and inclusion through the arts of Africa. The O.T.D works comfortably with people with special needs and can handle all ages from two years onwards, not only visiting schools but providing costumes (African outfits) and musical instruments for the use of the participants during sessions as well as motivating them to take part in all the activities. 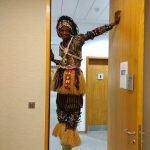 Apart from educational workshops, the O.T.D have drummers, dancers and singers who perform at festivals, concerts, weddings, corporate events and Black History events across Europe and further afield. 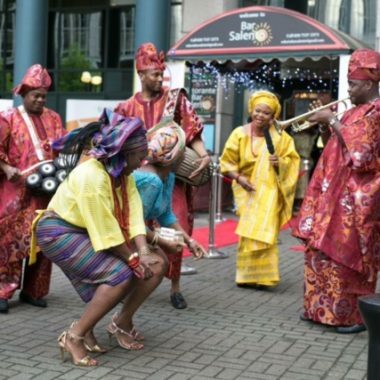 They also work with Councils/Boroughs, museums and libraries to deliver projects for the benefit of the people in the community. Work in over 500 community and private schools within the U.K.